Peter Donovan of the Soil Carbon Coalition is coming to Ithaca, NY! Peter facilitates workshops for scientists and nonscientists, farmers and nonfarmers, climate activists and climate skeptics. The workshops tell the fascinating story of why and how carbon cycling was discovered, why the problem-solving orientation of most individuals, organizations, and institutions camouflages the opportunity to successfully manage wholes such as carbon and water cycling, and what individuals and communities can do about it. Please join us to explore the carbon cycle and its relationship to our local landscape and decision-making processes. Life is the most powerful and creative planetary force, for which soils are the center of gravity. Whether you have a 300 acre farm or a 300 square foot back yard, your land management practices affect biological soil processes. Want to learn more about the soil under your feet and its relationship to global carbon and water cycles? This talk is a great place to start, as it will provide an overview of topics to be covered in more detail during the Saturday workshop. If you are on the fence about attending the workshop, come to the Thursday talk to learn more. the surprising implications of these changing understandings for policy, decision making, leadership, and long-term investment. Expected outcomes include gaining a deeper understanding of the carbon cycle, identifying human opportunities to make a difference, and developing a strategy that participants can employ to foster positive change in our region. Workshop participants are invited to join Peter on Sunday as he establishes a baseline plot for the Soil Carbon Challenge on a local farm. 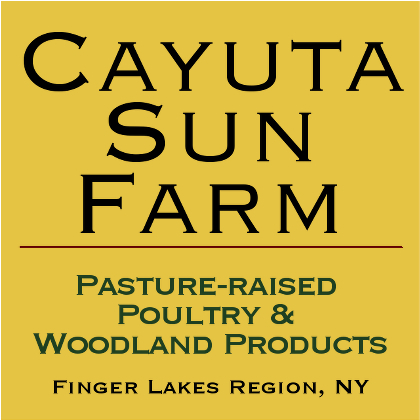 Events sponsored by Snug Planet, Good Life Farm, Sustainable Tompkins and Ithaca College. ← Pete Seeger’s Parting Message. Let his music carry us forward to the new awakening.